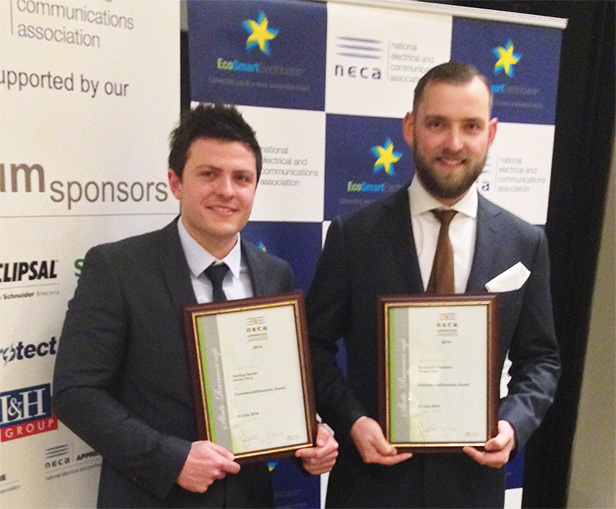 On Wednesday 23 July, Nilsen Vic Contracting had two 4th year apprentice finalists at the 2014 NECA Apprentice of the Year Awards cocktail function. Both Ashley Smith and Ben Franklin from the Contracting Division were awarded equal runners up in the Commercial Sector. The NECA judges believing they were both equally as good as each other. Our congratulations to both Ashley and Ben on their joint win.